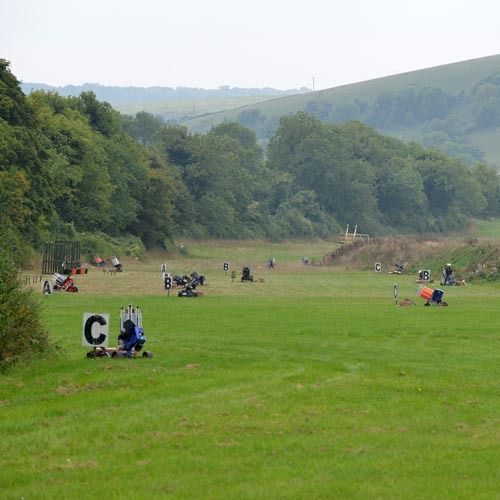 The Compak deck is situated to the south of the barn, at the top of the main English Sporting shooting range, we have set it up so that you can shot three of the most exciting sporting clay shooting disciplines Sportrap, Compak and FITASC old system, all year round. 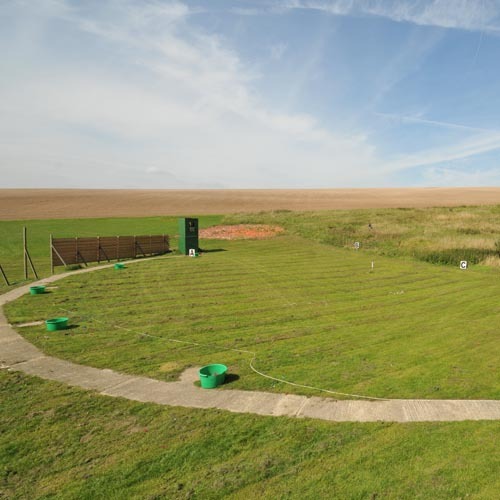 The shooting range is equipped with the Promatic multi-target claymate controller which will let you select the targets in any of the combinations and controls up to nine independent traps on the layout. You now have the choice of shooting Sportrap, Compak or FITASC. If you haven’t shot any of these disciplines before, please ask when booking in for a member of our Ground Staff to show you how it works or if you would like us to press the button for you. The disciplines Compak and Sportrap are shot from the five shooting cages mounted on the deck area, in accordance with the discipline rules the cages are 3 meters apart. 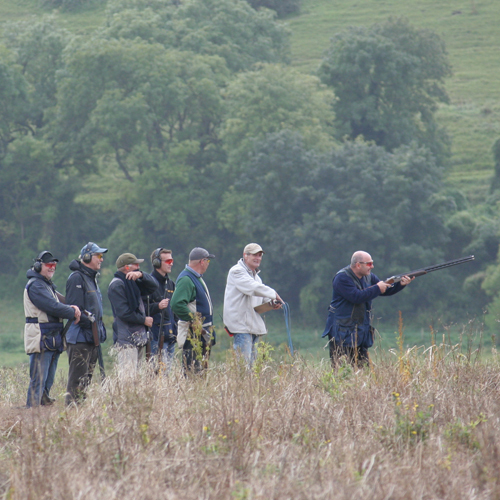 Both disciplines consist of 25 targets per round; the order of which they are shot is detailed on the menu boards. Various targets are thrown from five traps for Sportrap and six traps for Compak, the targets are thrown to pass through an area that is 40 x 25 meter in front of the shooting position, targets can be single or double (sim or on report). 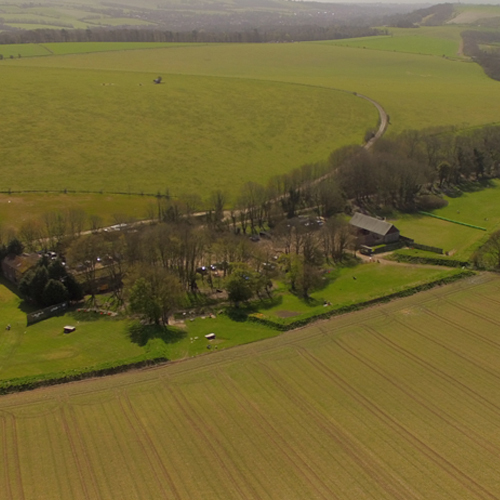 We aim to change the layout at least once a month, but generally we will change the targets more regularly. If you would like to see a specific target on this layout to aid you with your practice, please let us know and if it is safe to do so we will endeavour to put this target on within the combination.